Have you guys ever seen these before? I just found out about them today. I guess theres only a couple working systems used as public transit in the world, but theyre pretty cool. Germanys was even built in 1901. Its really cool how you get such a great view and Germanys even travels right above a river. So cool! 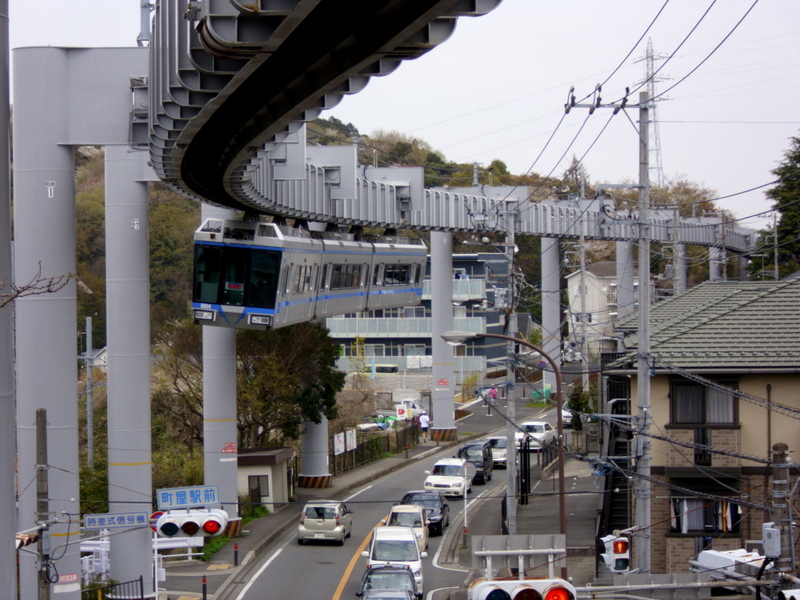 Heres the Shonan Monorail in Japan. Opened in 1970. Its so cool how these can navigate much more varying terrain and obstacles than most other transit systems. 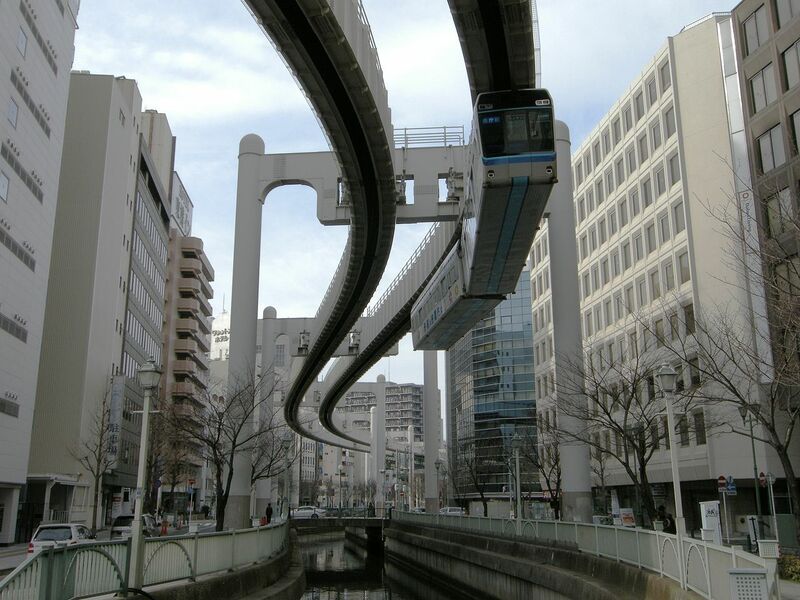 Heres another one in Japan the Chiba monorail. Apparently this one is the world's largest suspension railway. It was established in 1979, and the monorail began service in 1988. In 1901 the first part of the Schwebebahn opened in Wuppertal Germany and the full 13km was finished by 1903. Its still in use but with modern cars obviously. I cant believe I never heard of either of these before. Its amazing the view you have and how good it can navigate impossible by other means obstacles. Apparently this even moves 20 million passengers per year. Im not saying we need to build one of these in Boston. This is just an appreciation of different modes that dont have to follow the norm to get the job done. The views from these things must be incredible! 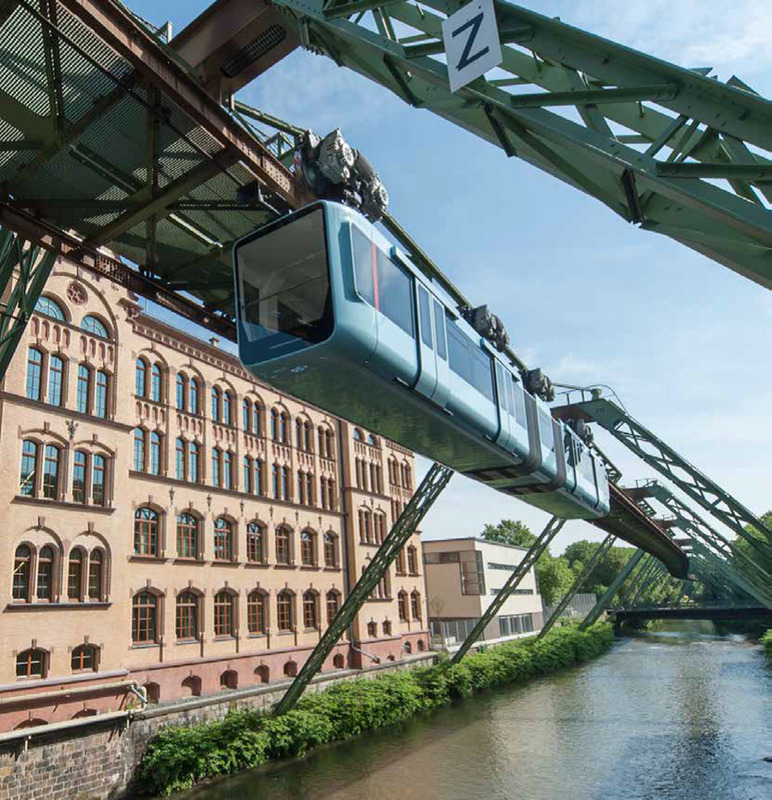 The Wuppertal Schwebebahn had a single fatal accident in over 118 years in 1997, when leftover maintenance equipment caused a cabin to fall into the river. Five people died and the aftermath looked frightening, but it’s still considered one of the safest modes of transportation. Thats really good. Its also a very limited amount of lines, but theyre attached to the rail and a closed loop system so I can see why it would be safe. Do you know why they never took off more? Is it political like so many other things like competing railroads causing many rail lines to not be connected, or the car lobby plowing highways through cities? Id imagine the railroads wanted the contracts for public transportation. Id imagine Japans came out of necessity due to needing a solution to the rough terrain and dense cities. They feature quite prominently in the Truffaut version of Fahrenheit 451. Hes definitely right about how you can usually do the same thing but cheaper and easier with other systems, but hes also right about how in some places in the world they do work. 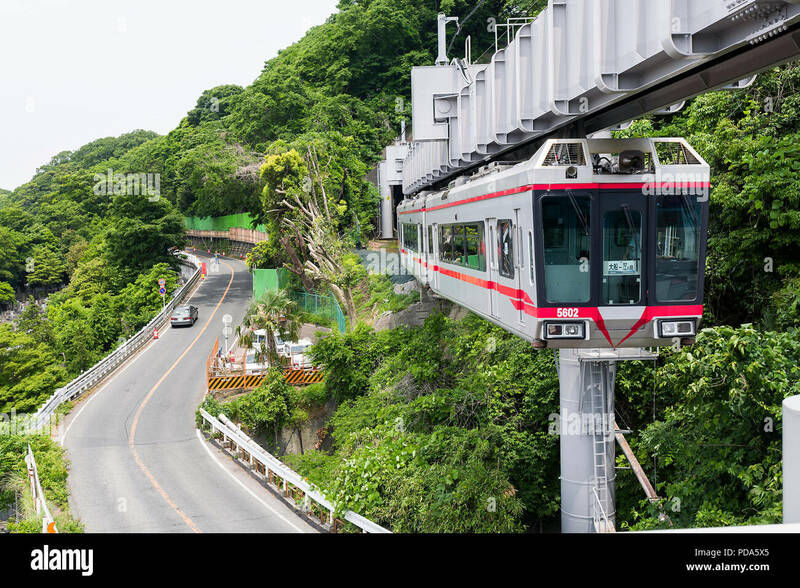 Japan is known for its wonderful rail transit, but looking at the geography as well as how densly built up it is where the Shonan monorail is, Im sure thats why they went with such a unique solution. I was deployed to Japan for a good part of 2013 and what I noticed is that it is all mountainous terrain and whatever flat parts do exist, are where the towns and cities go... usually meaning along the coast or between the mountains. What was interesting too is although they do have huge mountains like Fuji, some arent much taller than hills around here, its just that theyre extremely steep. So I can imagine in that area which looks like the town is scattered throughout a few mountains, building any normal type of train probably would have been insane. Its really cool that instead of giving up they still made it work with something so rare and unique. I looked to see if their two systems were anywhere near where I was and theyre not, but looking at where they are its immediately apparent how mountainous it is. Pretty cool how they adapt. 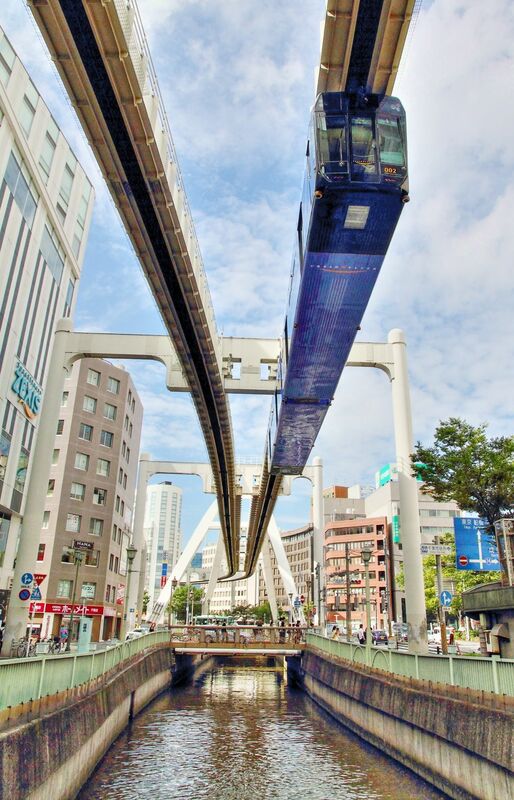 One reason monorails in general haven't been used much for transit systems is that a hefty switching apparatus is needed to actually switch monorail beams. A disadvantage I see to the suspended monorails pictured here is the posts need to be heftier. A single post needs to be a lot larger due to the cantilever it has to do, compared to a regular monorail. In the event of a disabled train or accident how do you quickly evacuate people? Especially disabled riders? I think that is a major disadvantage of these system - the regulatory aspect. Its an illusion because theyre on one side and so much more spread out. Its probably around the same total amount of material, and honestly probably wayyy less. 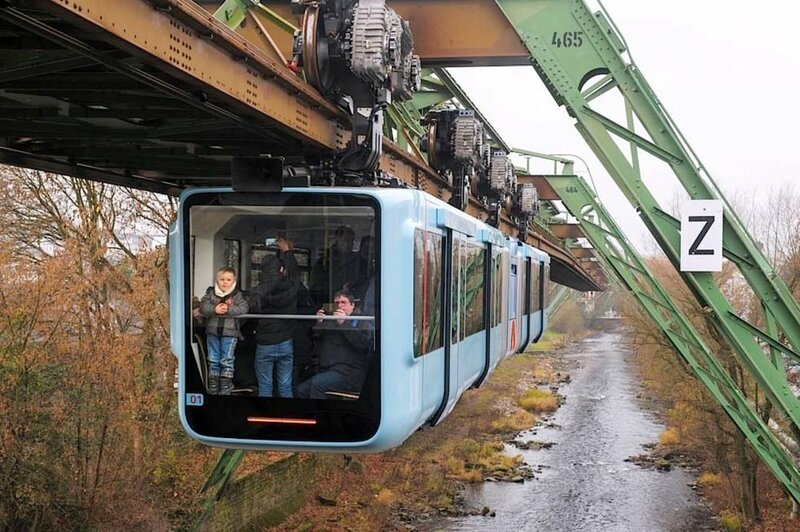 I would prefer this type of elevated transit. One post supports both tracks. I could see this type of structure running above Comm Ave in the BU area, and in several other locations along wide streets in the Boston metro area. Yea I agree the less amount of and more uniform the pieces the easier and cheaper it should be. Obviously a big reason why regular trains are so popular is that you can run them right along the ground. It always blows my mind how these things are 100 million per mile, theres got to be some way to mass produce a set amount of pieces that you then assemble and arrange into what order you need for it to work. There should be simplified and mass produced mass transit that you assemble like a lego kit. They need to get people to the ground, and that takes up *lots* of space for platforms, stairways, and elevators unless they're limited to in-building stations (think the Contemporary Hotel in Disney World). I think you would have to do a cost analysis to really see where the money is going, but I doubt it is the manufacturing. Corruption, regulatory compliance, legal fees, and *union* labor. It adds up quick. 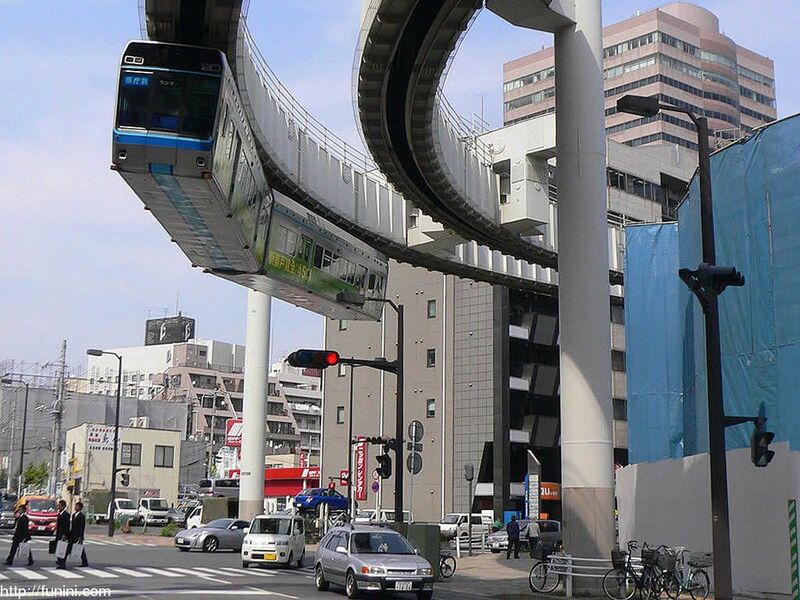 The People Mover planned for Logan Airport might be done this way, hopefully! !